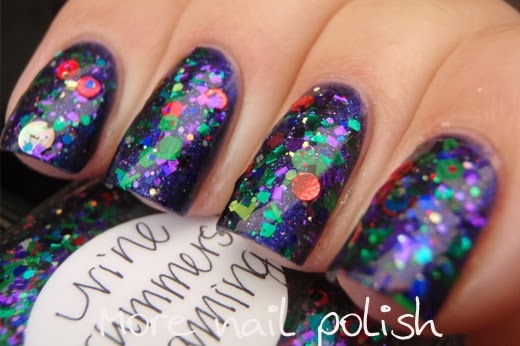 At the risk of boring you all with more glitter bombs, I'm continuing with part two of the Lynnderella Twelve Days of Christmas Collection. 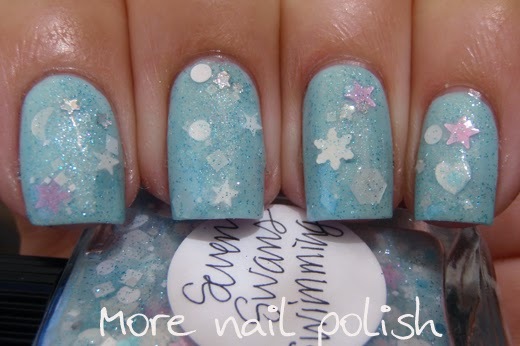 Seven Swans Swimming - a multi coloured shimmer base with white, silver and pink matte glitters and micro glitter, as well as a few tiny holographic silver stars. 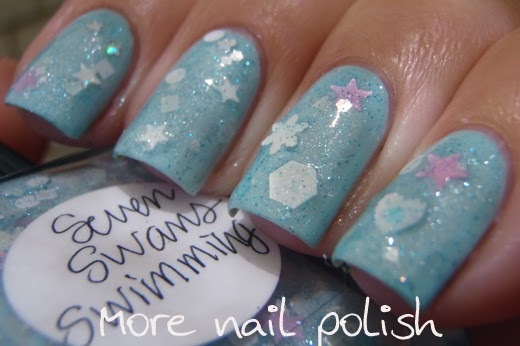 I'm wearing one coat over Picture Polish Sky. 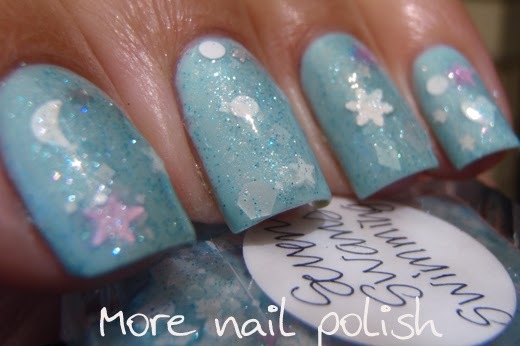 I love the large snowflake glitters, but they are quite stiff so you will want to position then in the middle of your nail where it is the flattest. 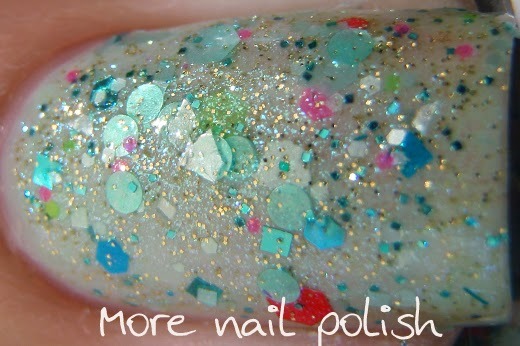 Eight Maids Minting - contains assorted mint, gold and neon glitters in a mint-shimmered clear base. This is one coat over Ulta3 Corsican Rose. 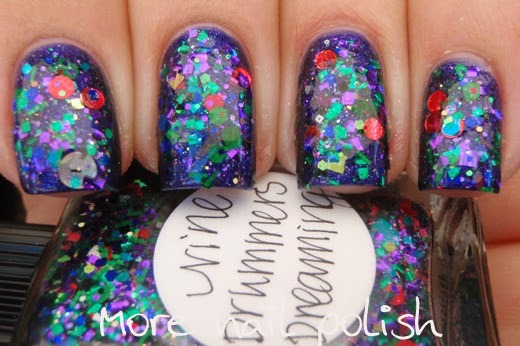 Nine Drummers Dreaming - a mixture of purple, red and green glitter, accented with white glitter in a violet-shimmered clear base. This is one dabbed coat over Cirque Baptisia. Ten Pipers Pinking - Pink holographic heaven. 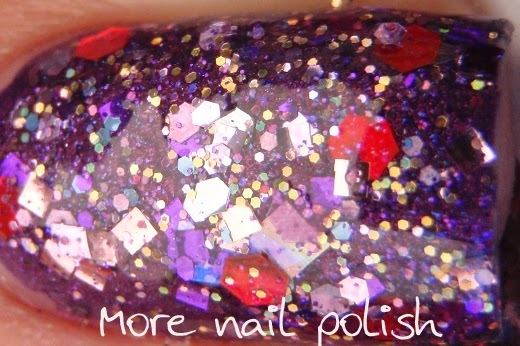 At first look, this seems to bee a simple single glitter mix of holograph pink micro glitters, but it is actually more complex than that. 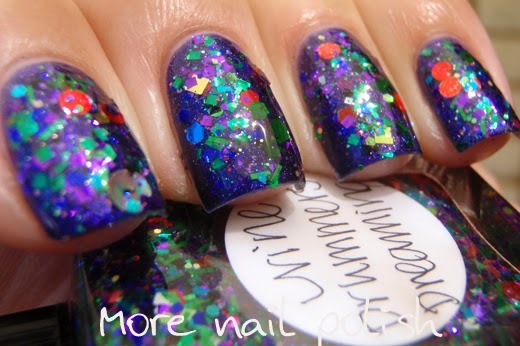 It contains pink holographic, fuchsia and iridescent blue micro glitter with strong blue shimmer in a cool pink base. 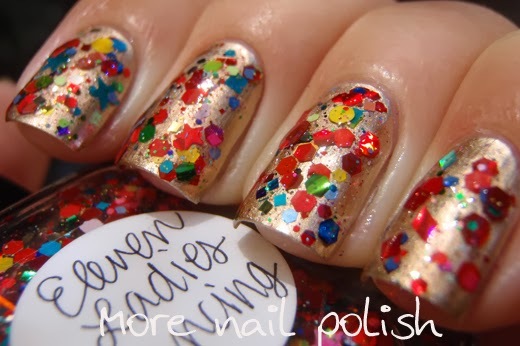 Eleven Ladies Dancing - This one is so festive for a multicoloured glitter. 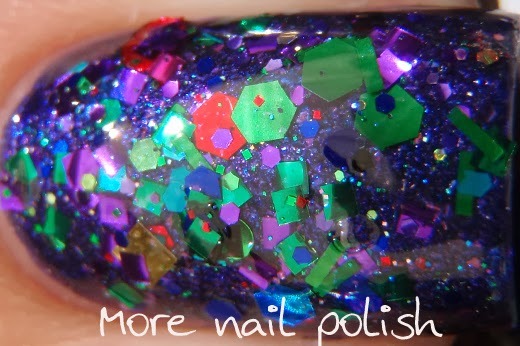 It has a blend of reds, neon and other brights in a clear base.The red glitters in this just pop so much. This is one coat over Essie Good as Gold. 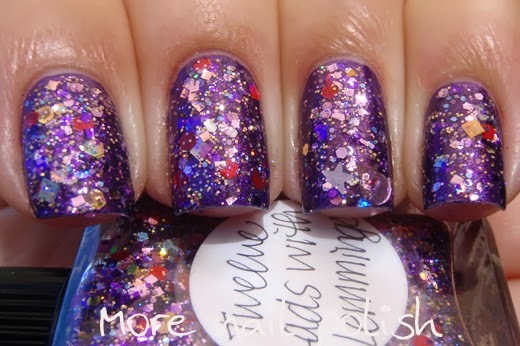 Twelve Lads with Lemmings - contains lavender, red and gold glitters in a lilac, pink, and blue shimmered clear base. 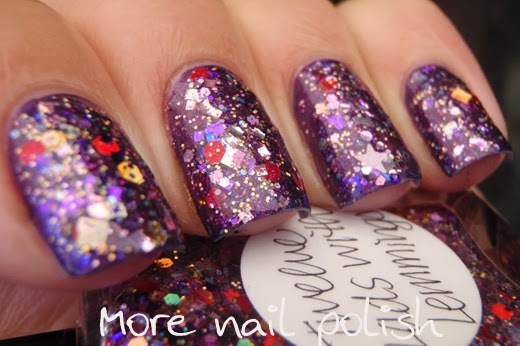 This is one coat over Pretty Serious Into Dreams. 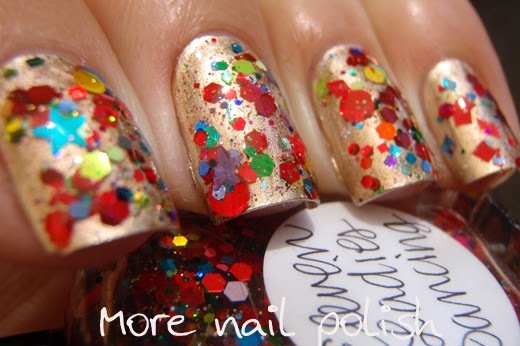 I really love this holiday collection, there is such a mix of colours and definitely something for everyone. 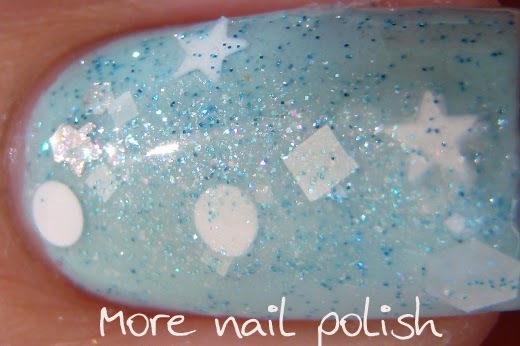 Ooh, I love Eight Maids Minting--the contrast between the bright shapes and the soft, shimmery mint is so pretty! 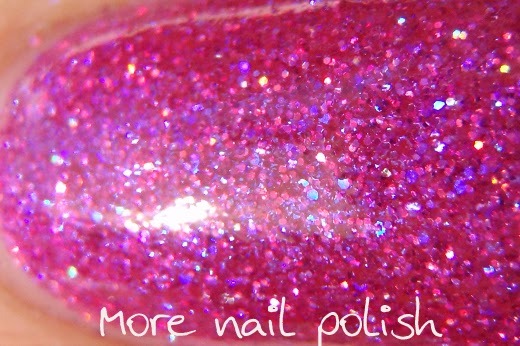 And Ten Pipers Pinking has so much depth and sparkle! 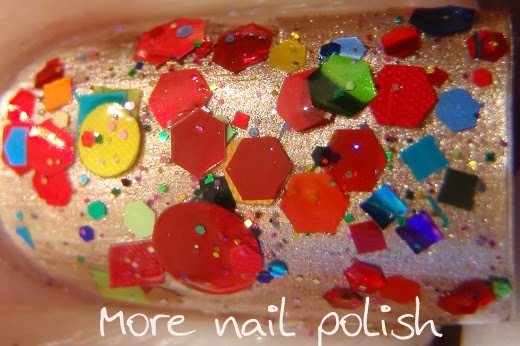 Boring us with glitter? 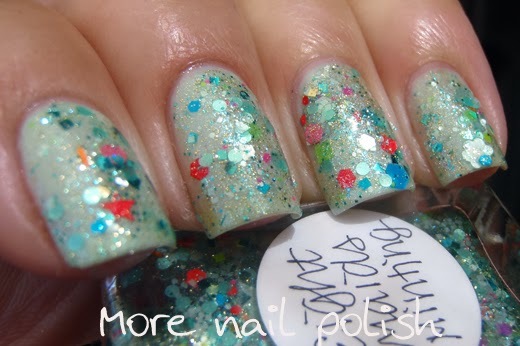 Nope, not gonna happen :) Beautiful swatches!